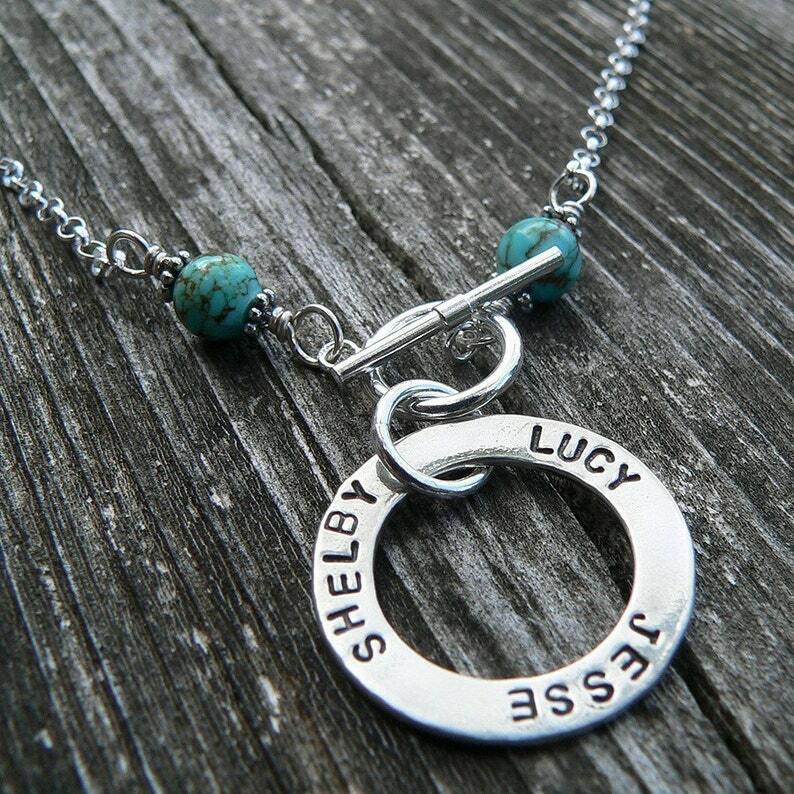 This versatile, gorgeous name necklace is suitable for everyday wear. We offer this necklace in many of our fonts. We can usually fit about 28 characters - including spaces - depending on the size of the font selected. This particular version is a limited edition with genuine, high-end Nevada untreated turquoise. It's hip, yet timeless - awesome for the gemstone or turquoise lover. If you prefer another gemstone, please inquire - we do have many available. The "circle" pendant is a 1mm thick cast-silver, and not thin cut sterling sheet. We think you will be pleased with the weight and quality. Necklace length should be indicated at checkout. Please be specific as toggles are not adjustable.